All paperback orders receive the eBook version for FREE! Lucius Pontius Pilate was a Roman on the rise, an ambitious nobleman serving with ruthless efficiency as a confidential agent of the Emperor Tiberius Caesar. A respected member of the Roman Senate, Pilate harbored a cruel streak that Tiberius used to strike fear into the Empire's enemies. Pilate was on his way to the peak of Roman society when a disastrous encounter with the loathsome Gaius Caligula, Tiberius' heir, ended with him being disgraced and sent into exile as Prefect to the armpit of the Roman Empire: the province of Judea. In this desert land, where political rebellion and religious fanaticism bloomed like flowers in the spring, Pilate's life became entwined with that of Jesus of Nazareth, the enigmatic leader of a new religious sect. 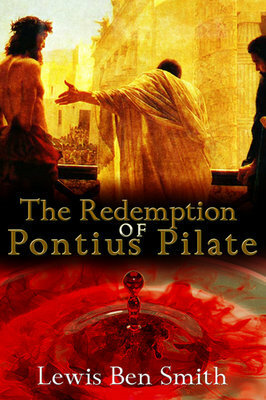 Bullied into sending Jesus to the cross by the local religious leaders, Pilate is tormented with guilt and nightmares, unable to wash away the blood on his hands. But when the death of Tiberius elevates Caligula to the Imperial throne, Pilate may have no choice but to flee for refuge to the disciples of the Man he crucified. But will they accept him? IS ANY MAN TOO LOST TO BE SAVED?